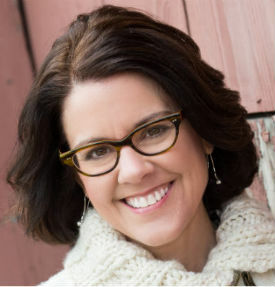 Tag Archives for " marketingprofs "
The simple answer to the promise in today’s title is this – get Ann Handley’s lbook – Everybody Writes: Your Go-To Guide to Creating Ridiculously Good Content. Handley is my guest for this week’s episode of the Duct Tape Marketing podcast and she knows a thing or two about writing. 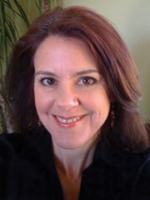 She’s a former writer for the Boston Globe and was the co-founder of early web news provider, Clickz. She currently acts as the Chief Content Officer for MarketingProfs. In Everybody Writes, she makes the case for the fact that writing is inevitable to success in business and that in some form or another we can all stand to get better at this most basic form of communication. She also sticks a flag in the sand and takes a stand for better writing in general. The great thing about Handley, and you can hear in the interview, she’s serious about better writing but doesn’t take the notion too serious at all. In fact, her writing style is down right humorous at times. In Duct Tape Selling, I suggested that writing may be the master skill for anyone that needs to communicate an idea. Even if you don’t write for a living, but developing a writing practice you will become a better salesperson, speaker, thinker, and communicator. Everybody Writes is jammed packed with ideas, stories, and great advice as well as simple practical tips that every writer can use to improve their written communication. I love the last section of the book that breaks down how to write better landing pages, video scripts, emails and on and on – very practical stuff that everybody writes! There are two fundamental approaches to generate more business: The first is to focus on making your existing customers insanely happy, so that they want to tell others about how much they love you; the second is to simply be a resource, or be helpful, to those who aren’t customers yet. 1. Have a goal. Set a clear goal with a specific timeline – for example, you want an x increase in referrals over the next six months. You know that old adage about how you can’t get there if you don’t know where you’re going? It’s true. 2. Monitor the web and primary social channels (Twitter, Facebook, LinkedIn) for people talking about you or your company. Say thank you (if they are saying nice things). Reach out and ask how you can help (if they aren’t). 3. And if they aren’t, BTW: Apologize for mistakes and solve problems fast. Speed is your ally. 4. Monitor the web and social channels (Twitter, Facebook, LinkedIn) for specific keywords relevant to your business. Be approachable, conversational, and helpful there. Engage, don’t sell. 6. Create a blog with content that helps your customers with a problem, or gives advice on a difficult situation, or walks them through a hard decision, or just takes the customer’s point of view, generally. Be a resource, and don’t simply toot your own horn. 7. When someone comments on your blog, respond. Talk back. Thank them for participating with a follow-up email. This is a dead-simple thing, and something a lot of people don’t do. 8. Read other relevant blogs in your industry, or by your customers, or would-be clients. Comment there, too. How? I almost want to repeat that bit about engaging-not-selling again, but I know you get it. 9. Put something on your front door (if you have one) that reminds people to tell their friends about you. (This is an idea from my friend Andy Sernovitz. 11. Put a special offer in easily forward-able mail. 12. Add a small gift and a word of mouth tool to every package you sell. Do something unexpected. (Andy once sent me a few packets of Bacon Salt with a copy of his new book, for example, which inspired me to blog and tweet about it. 13. Create a mechanism to keep in touch with existing customers or clients, even if they aren’t in buying mode. Perhaps you publish and “insider’s” newsletter, guest-blog on their blogs, or pick up the telephone and call every once in a while, just to say hello. 14. Be generous in your business practices. Go the extra mile. Offer extra service or follow-up support as a routine way of doing business. 15. Be generous with your own referrals. 16. Say thank you. Someone refers new business to you? Send them a note. An especially nice touch in this digital age is a handwritten card. The kind that arrives in the mail. 17. Be nice. Does this sound lame? It’s not. People refer people who treat them well, are approachable, and likeable. Be that person. Your turn. How else do you generate referrals, or inspire positive word-of-mouth?